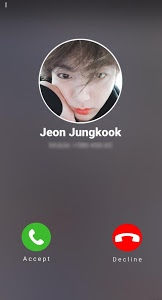 ?Enjoy chatting with your favorite members of BTS! ? 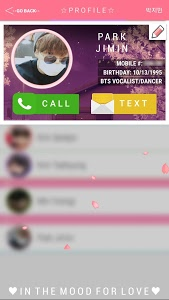 ☆ Get live message notifications throughout the day. 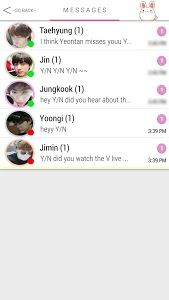 ?Customize your BTS Messenger ? 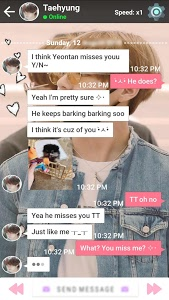 ☆ NOTE: Since this is a dating chat simulation game, you must choose your responses wisely if you want to end up with your bias ♥, so this storyline is ✧interactive✧ and up to YOU! 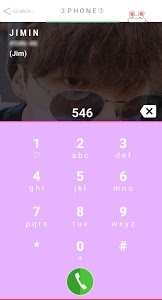 ?Text & call BTS yourself! 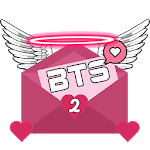 Similar to "BTS Messenger 2"